The B.C. Archives is a treasure trove of information on the province’s history but accessing those documents isn’t cheap: downloading and using just one old photograph can cost anywhere from $25 to $500. The B.C. Archives is a treasure trove of information on the province's history but accessing those documents isn't cheap: downloading and using just one old photograph can cost anywhere from $25 to $500. The non-profit society Friends of the B.C. Archives is trying to change that. It recently released a report calling on the Royal B.C. Museum, home to the archives, to lower or eliminate the licensing and reproduction fees. "We've heard from several of our members over the last couple of years that this is really cost prohibitive to using images and materials from the archive," said Kelly Black, president of the society. "People should be able to access the resources that are part of the documentary heritage of British Columbia for free because, really, that is the key mandate of libraries and archives." The group is calling for fees for non-commercial use, like teaching, to be forgone completely and commercial licensing fees to be reduced depending on the use. "If you're a university professor, like myself, and I want to use it on a PowerPoint slide in my classroom, it will cost me $25," he told Gregor Craigie, the host of CBC's On The Island. "People are essentially seeking to use digitized materials from other places." Authors of books about B.C. 's history face a similar dilemma when they come up against hundreds of dollars of fees to use and reproduce photos. "They choose to leave things out, because they can't afford the cost, which is usually downloaded from the publisher to the author themselves," Black said. 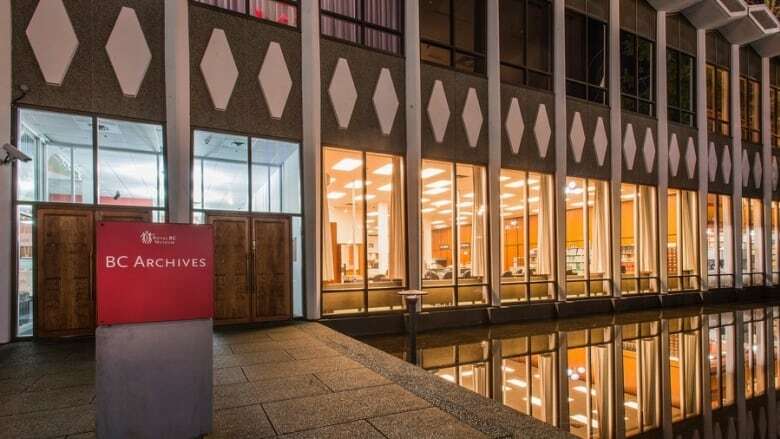 "Particularly for books that disseminate knowledge or create knowledge about British Columbia using the archives, those fees should be at least re-evaluated." The museum says the fee structure is based on recovering the cost of digitizing the material. "Our focus is really around caring for the collection, ensuring it's sustainable in the long run, and making it publicly accessible," said David Alexander, head of archives, access and digital at the museum. The B.C. government covers about 54 percent of the museum's operating budget but, Alexander said, they still need to make up the shortfall. For Black, though, charging to use the material points to a larger issue. "We are in a society where proprietary ownership over knowledge and people's information is increasing," he said. "The library and archives really are a place where that should be spurned."